Sieve /sɪv. Etymology: Old English sife ; related to Old Norse sef reed with hollow stalk, Old High German sib sieve, Dutch zeef. 1. N. A device for separating lumps from powdered material, straining liquids, grading particles, etc., consisting of a container with a mesh or perforated bottom through which the material is shaken or poured. "Collins Concise English Dictionary © HarperCollins Publishers"
Since the establishment of Producciones Zaranda, in 2003, we work -like a sieve that safeguards the essential things- in the development of documentaries and audiovisual material to convey social, cultural, and democratic values, which will contribute in the progress of an equalitarian society, for a better quality of life and education. Ours documentaries and productions are designed to encourage the creative and innovative method of teaching, generating spaces and/or actions that permit to contribute in the development of the cinematography industry and the audiovisual media in Puerto Rico. Our commitment to advance this project is centered in offering new perspectives to our society, that will promotes the rescue of the cultural legacy and stimulate a continuous reflection in both academic and entertaining worlds. We combine professional audiovisual and educational story telling tools to communicate messages in an accurate and compelling way. Our experience, creativity, efficiency and quality are at your disposal. If you plan to do a documentary or a series we can offer you our services of research and technical assistance to capture and transmit memories, stories and culture in a creative expression to the extent of each client. We develop projects from research to the duplication of the final product, whether with an educational purpose or for training and corporate advertising. 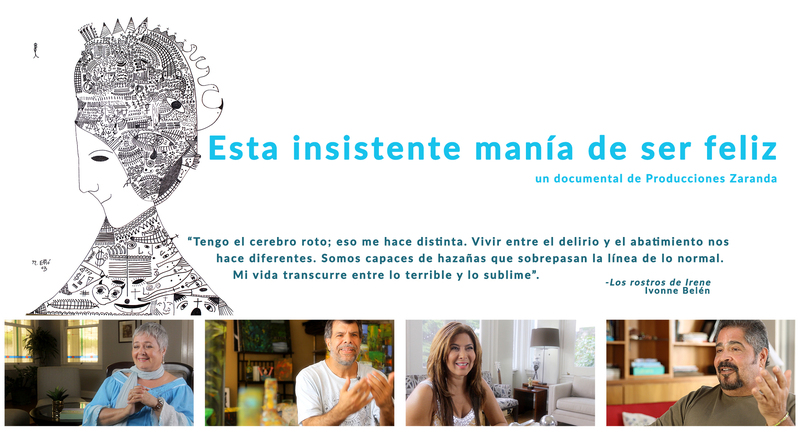 This documentary exposes how the arts and beauty are the road to recovery and social contribution in the life of four Puerto Rican artists with diagnoses of bipolar disorder and schizophrenia. Those living with these conditions are generally stigmatized; because their conditions - which are not their choice- impact the path to face the daily activities and integrate into society. Our artists Sully Diaz - actress and singer- Ivonne Bethlehem - filmmaker and writer, Glenn Monroig - Songwriter and communicator- and Francisco Morales Eró - poet and artist- without denying their conditions, decide to overcome their limitations and contribute to the development of others, thanks to their creativity and the beauty of the arts that they share. 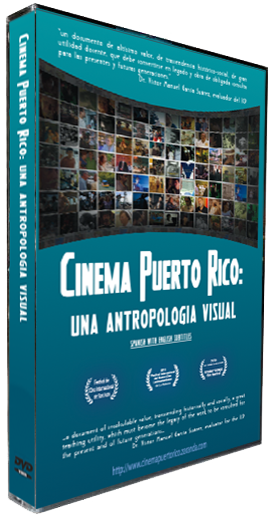 The documentary reveals a timeline that reflect Puerto Rico’s perspective using film productions and their filmmaker’s conception. The public may relive emotions in seeing over a hundred iconic movie segments since the beginning of the 20th century to present day. All stitched with narration and interviews from prominent filmmakers like Marcos Zurinaga, Ivonne Belén, Jacobo Morales and emerging filmmakers as Alex Santiago and Benji López. They answer key questions such as: What issues are reflected and how they're presented? Are they representative of the Puerto Rican culture and reality? Who and how these films are subsidizes economically? The documentary address the social experiences through glimpses of cultural and ethnographic documentaries, commercial ads and through fiction narratives, portraying the desires, frustrations, accomplishments that portrait generations, such as the Division of Community Education (DIVEDCO) of Puerto Rico, the "baby boomers" or todays millennials filmmakers in the digital boom. Our goal is to survey and recognize the work already done, the effort in their accomplishment, with hardship and glories, which narrates the films that where done and many times forgotten, that speaks to us and makes us reflect, express and be aware of ourselves. Despite the considerable amount production the filmmakers confronts the difficulties to distribute and market their products. Prepared to face challenges and sacrifices, resisted the persecution, attacks, and the political assassination of his eldest son. His committed activism takes him to renounce the citizenship of the Unites States and claim the Puerto Rican citizenship, in a controversial personal and judicial act that poses problems rooted in the historical and constitutional development of Puerto Rico. For the first time, Juan Mari Bras exposes his political and personal live in a spontaneously and intimate posture. Together with family, political leaders, historians and friends discuss their background, influences and projects developed local and with international reach. 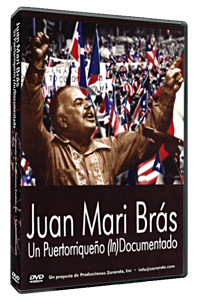 In Juan Mari Bras: a Puerto Rican (un) documented, Producciones Zaranda, shows the development and scope of this character that transcends the historical process of the independence and insert him in the general future of Puerto Rico. Edwin Reyes (1944 -2001), known as The Poet, was a complex aesthete and militant in the pursuit of beauty. As a poet, filmmaker, composer, journalist and publicist he revealed the transformative power of culture and words. 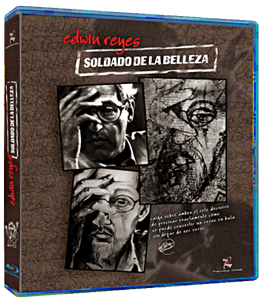 A soldiers of beauty explores the work of this cialeño through recordings of the poet, conversations with their friends, family members, accomplices and colleagues, scholars of his work and tough critics that make up the ranks of the project. The work of Edwin is not fortuitous, he knew the needs of the country, and worked to provide them because he believed in the muscular involvement of the cultural struggle. He was a being filled of contrasts that prevailed every day. He gave us from the most tenderness poems and the sensitivity of lullabies to a brusque gun shot of his poem musicalized, like El blanco (The target) or the rawness of the gobierno araña (spider government campaign). Therefore, we hope that the documentary will serve in allocate the perspective his work, his contribute and place him in the honor that his talent deserves and to confront ourselves with the need to continue working and contributing to our people. Edwin showed us the target, it remains in us to carry struggle. 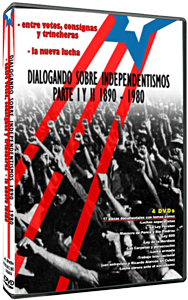 A dialog about independentismos is the first documentary series that traces the development of the vast alternatives of the independence movements in Puerto Rico in multiple volumes. A political science course in a series of documentaries designed for the general public but a valuable tool for students, academics and political activists, since it contextualizes those trends in the political, economic and cultural setting of each decade in the Puerto Rican history. Producciones Zaranda counts with more than 140 hours of interviews to more than a hundred activists and leaders of the various organizations, as well as historians and political analysts. In addition, there are photos, newspapers, propaganda and archive material, to give a comprehensive look at the broad spectrum of independentistas -from the electoral struggle to the armed struggle, its development and changes over time, strategies and ideologies, international efforts, the divisions, infiltration and the persecution that reaches political assassination. The details and chronology that originate in A Dialog About Independentismos can only be offered in a series of 17 documentaries in four DVD package. 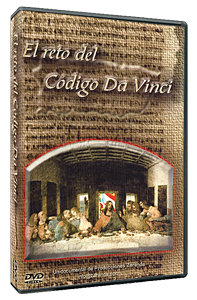 The challenge of the Da Vinci Code explores the most important topics under discussion in relationship to the novel and film of the same name. What is the attraction of this narrative? Why is it so controversial? Well-known personalities of the academic and ecclesial world discussed the charm of the Code from a Hispanic perspective by presenting topics such as: the divinity of Jesus, Mary Magdalene and their relationship with Jesus, the canon development of the biblical, the sacred feminine and the Holy Grail, the enigmas of the Opus Dei, among other topics. A valuable tool with the acuity of the academic knowledge but easy to the public to related and understand the controversial topics. We invite you to accept The challenge of the Da Vinci Code, making a journey that will help you to differentiate between the fiction and history.